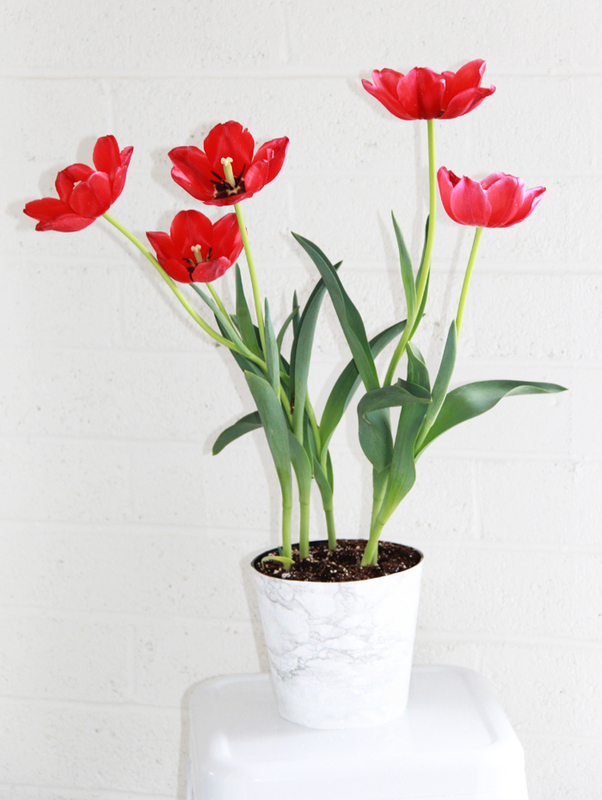 One incredibly annoying thing about marble- is it is VERY heavy. 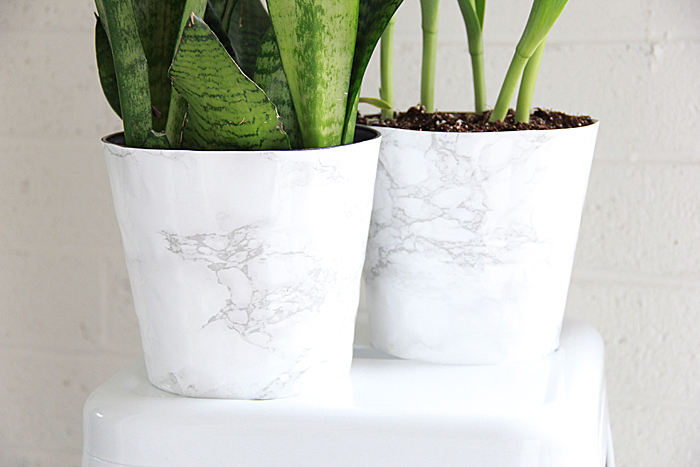 And that is where marble contact paper comes in! 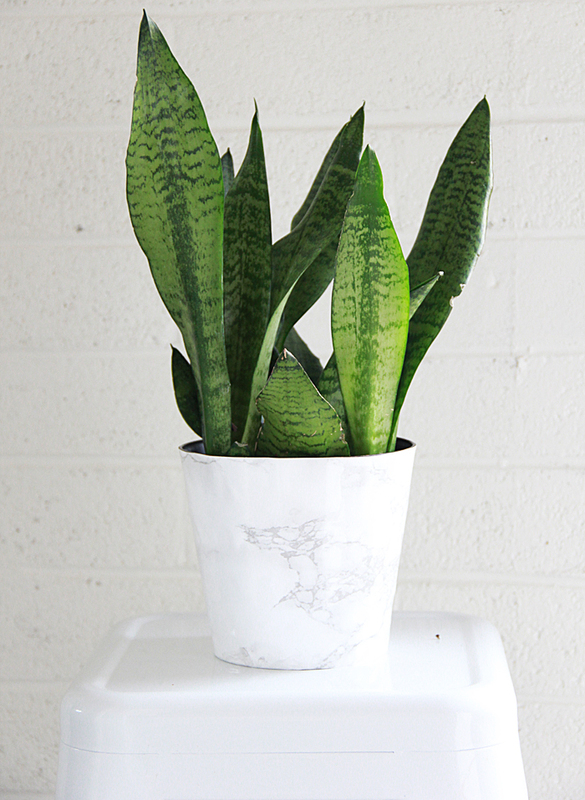 How to Make A Faux Marble Plant Pot! I think for the first time ever, I forgot to take the DIY material list shot… and I am writing this on Tuesday night set for Wednesday, so please forgive me! 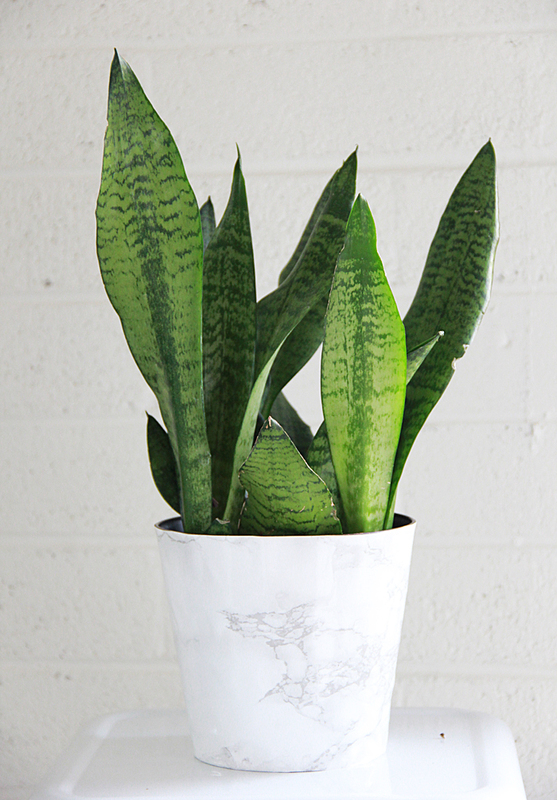 Plant Pot- get any old ugly one from a thrift store for a $1! Mine is actually the resin plant pot that came with my plant! If you have ever wanted to outline a curved object like a plant pot or lampshade to cover- this is the tutorial for you! 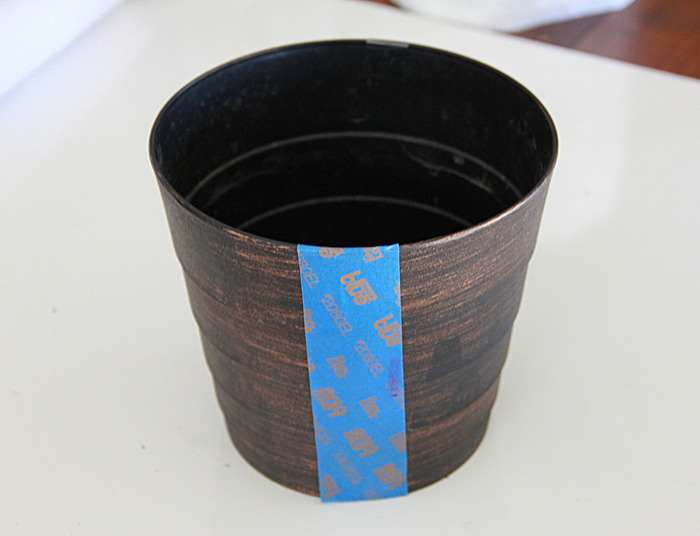 If your plant pot does not have any seam- Mark off a spot with tape- this tells you where to begin and end your tracing. 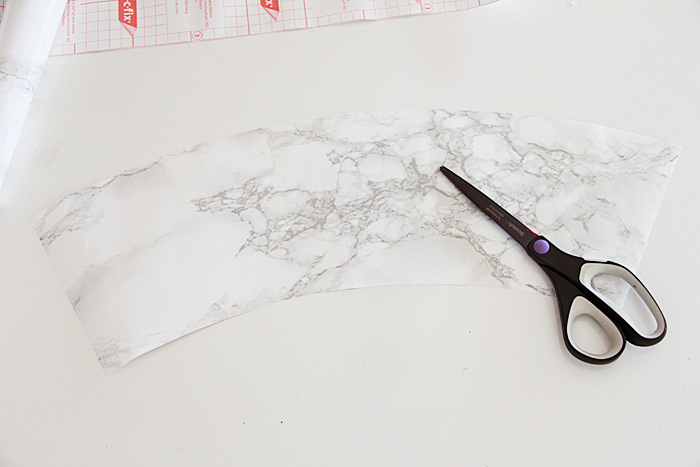 I did our measurements on paper first, I did not want to cut the marble contact paper without testing the size. 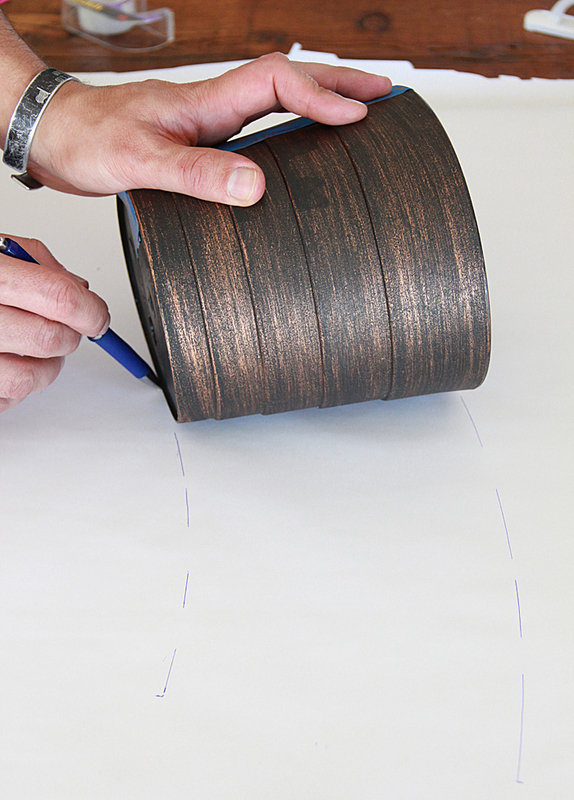 Rotate your pot on paper and trace the pot as you go. Use the taped seam to know your beginning and end. I had my husband model while I shot the picture. 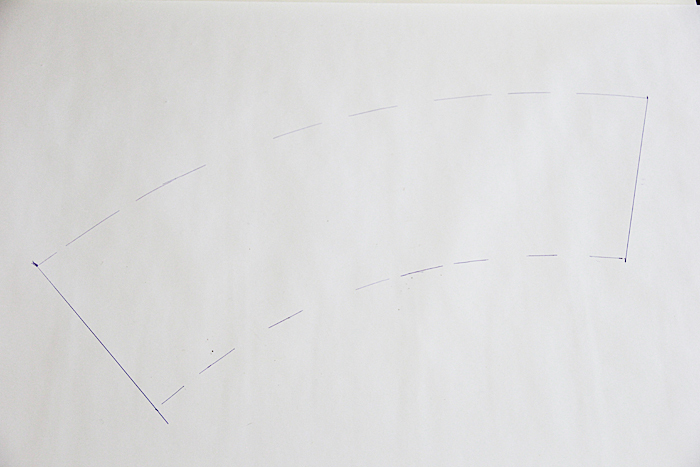 Once your lines are drawn- connect them at the ends. Cut it out! 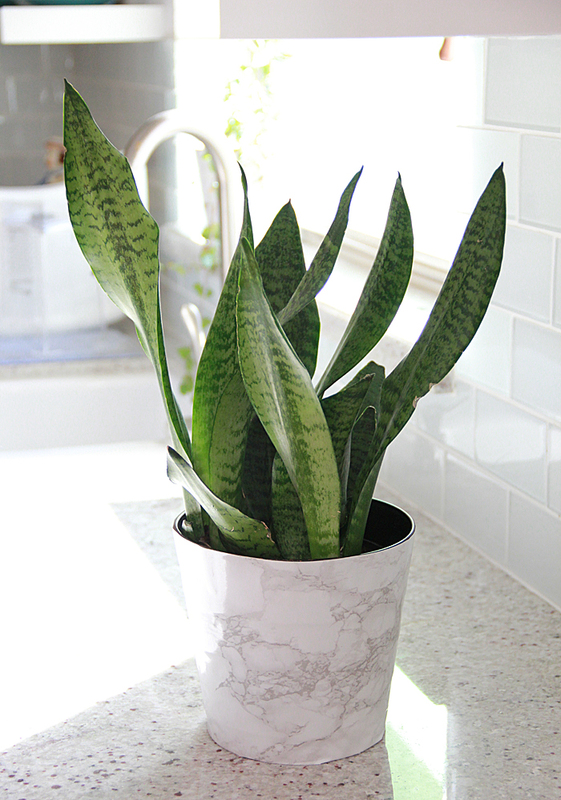 Using the paper, I double checked the measurements by placing it on the pot- I then used the paper and traced it onto the marble contact paper and cut out. This step is NOT necessary, but I wanted to be absolutely sure before wasting any marble contact paper. Put it on your pot!